Customize your Titan for screening, diagnostic and advanced clinical testing. Match the modules with your current needs – and upgrade when your challenges change. 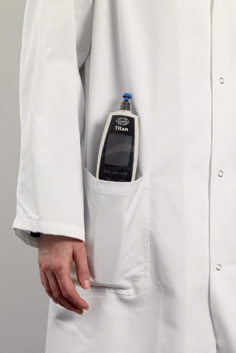 The Titan delivers Impedance, ABRIS, OAE and the revolutionary Wideband Tympanometry. 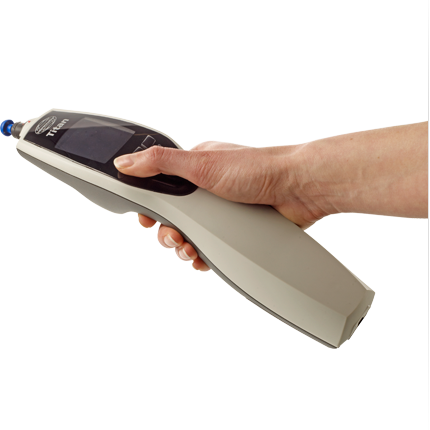 The ABRIS440 module for Titan is fast and easy automated ABR testing for infants and adults. The screening module uses the ground breaking CE-Chirp® stimulus and Bayesian weighting to reduce test time by up to 50% compared to traditional click stimuli. 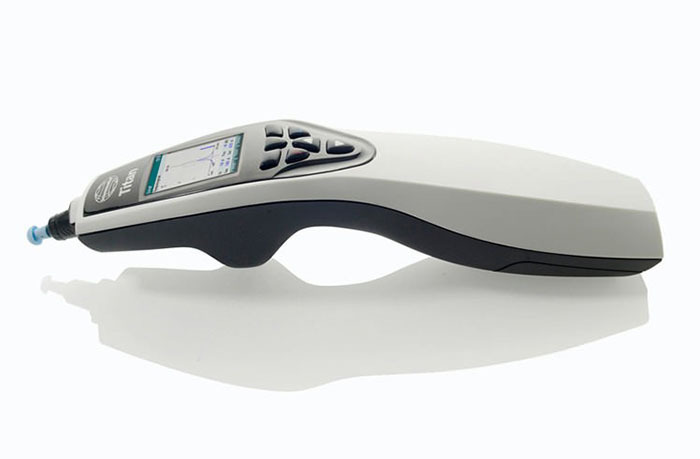 With an easy to understand display (PC or handheld device), HiTrack compatibility and user customizable protocols, the ABRIS440 combines fast, quality testing with unrivaled usability. Following patient preparation, simply press start and await a pass/refer result. 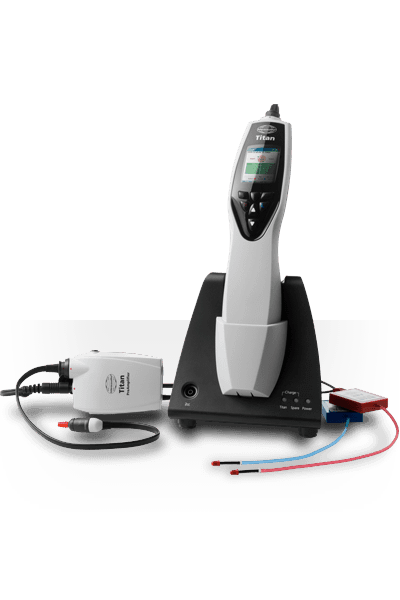 Minimal test time is required and the ABRIS440 default CE-Chirp® (35dBnHL) protocol provides a reliable automated ABR test with a sensitivity of 99.9% and a specificity of more than 96%. Choose from four transducers that are automatically detected when connected to the preamplifier. 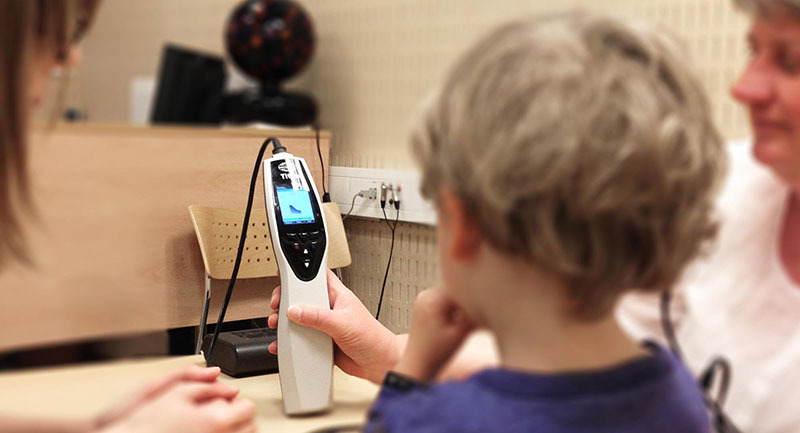 OAE modules with specialized advantages: diagnostic OAE assessment and newborn hearing screening. The screening versions offer speed, precision and user-friendliness. The Titan ensures exact intensity stimulation throughout the test and monitors the ongoing noise resulting in the most accurate results achievable. Combined with Bayesian weighted averaging that counteracts excess patient noise, the software is extremely efficient especially for infant screening. The clinical versions provide unsurpassed flexibility and a comprehensive frequency range for a full diagnostic evaluation. Customizable protocols offer an unlimited number of tests utilizing a multitude of parameters including stimuli, intensity, stop criteria and much more. 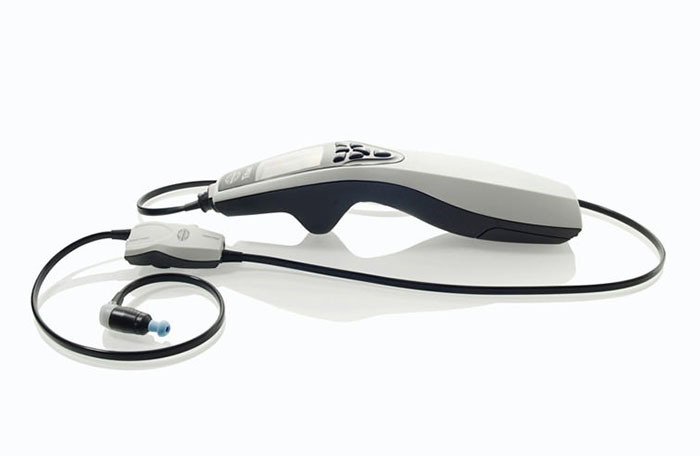 Wideband Tympanometry – WBT – expands our understanding of the middle ear. 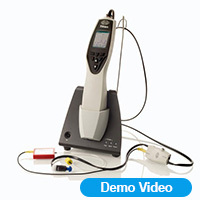 WBT adds a new dimension in differential diagnostics. Differentiate pathologies with the aid of a powerful 3D image of tympanometric data across a full range of frequency and pressure. The power of a click alternative to measure at peak pressure. The Click stimulus unlocks the power of Multi-Frequency Tympanometry in the same time as testing a single frequency. The 3D result reveals information of middle ear performance at any frequency across a full range of pressure change. WBT provides missing data about middle ear conductive issues that will enhance a diagnosis based either on OAE or ABR alone. Absorbance is revealed in a multidimensional graph that enables the clinician to have an immediate understanding of middle ear performance across frequency and pressure. Diagnostic interpretation is made easy with a clear map of middle ear function. WBT is easy and yet comprehensive. Differential diagnostics are made much more intuitive with the aid of overlaid normative data. Compare to illustrated examples of elusive pathology.